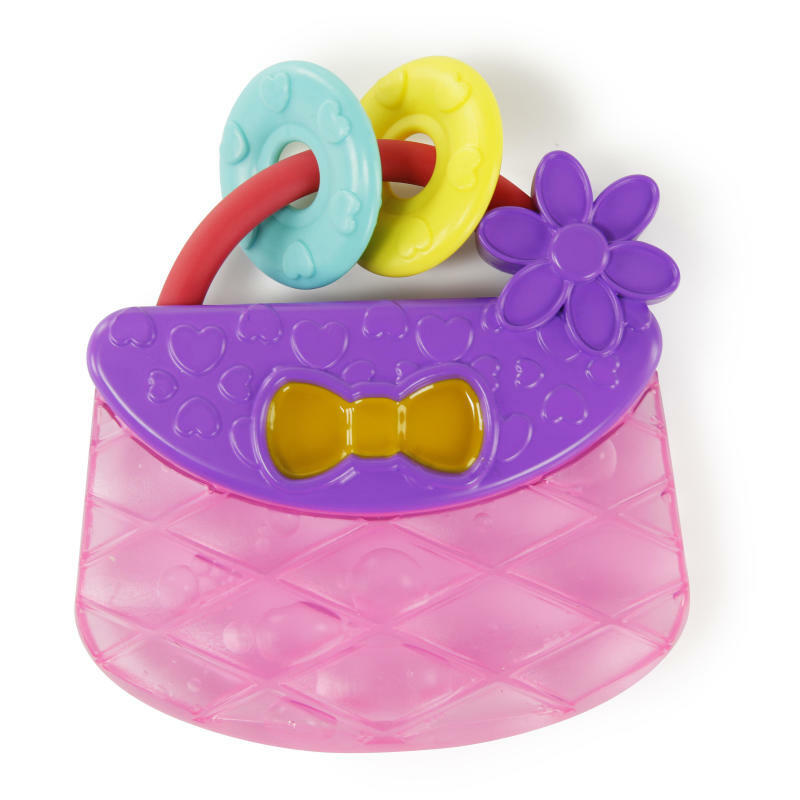 Baby will love to carry and teethe on this cute purse! The Bright Starts™ Carry & Teethe Purse™ is filled with purified water and features multiple surface textures and bead chaser. It can be refrigerated for additional relief.